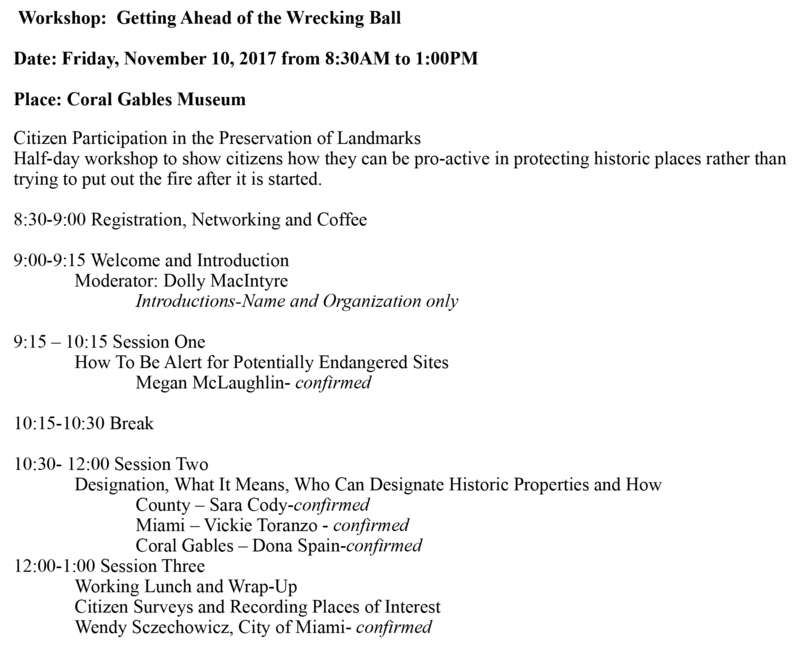 Megan McLaughlin presented at the ‘Getting Ahead of the Wrecking Ball’ Workshop this morning at the Coral Gables Museum. 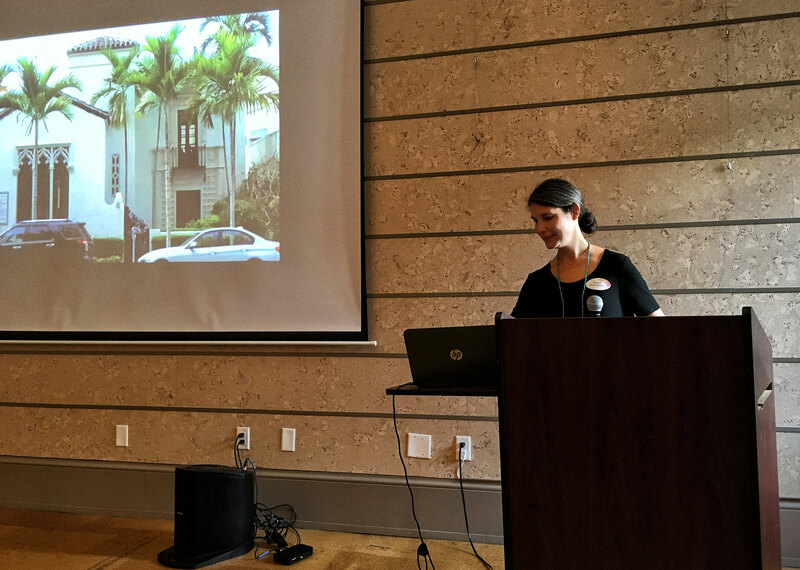 Hosted by The Historic Preservation Association of Coral Gables and The Villagers, Inc., the workshop was meant to show and encourage citizens how to be pro-active in protecting historic places in their community. Megan’s presentation, “How to be Alert for Potentially Endangered Sites,” focused on how to identify the very places that are in danger of being destroyed. Just how do you stop a wrecking ball? 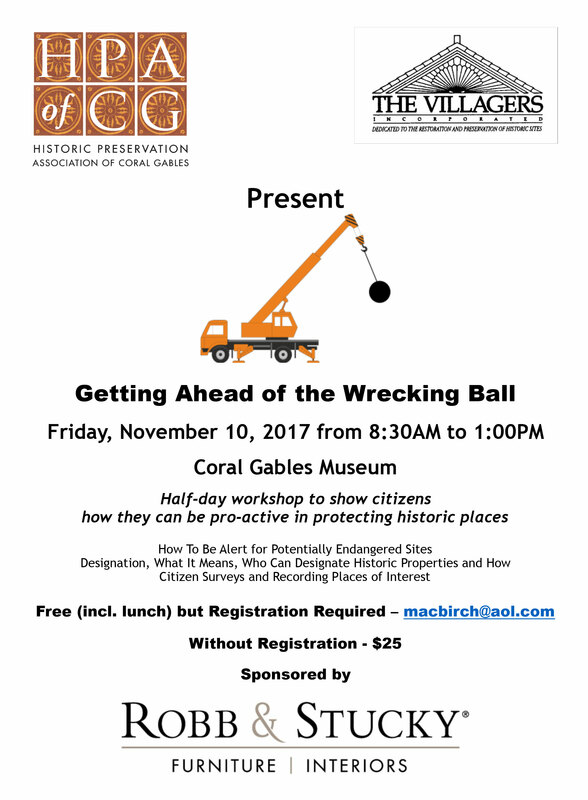 Members of the Historic Preservation Association of Coral Gables and the Villagers want to educate citizens about the historic buildings in our community and teach how to protect these resources through historic designation legislation. 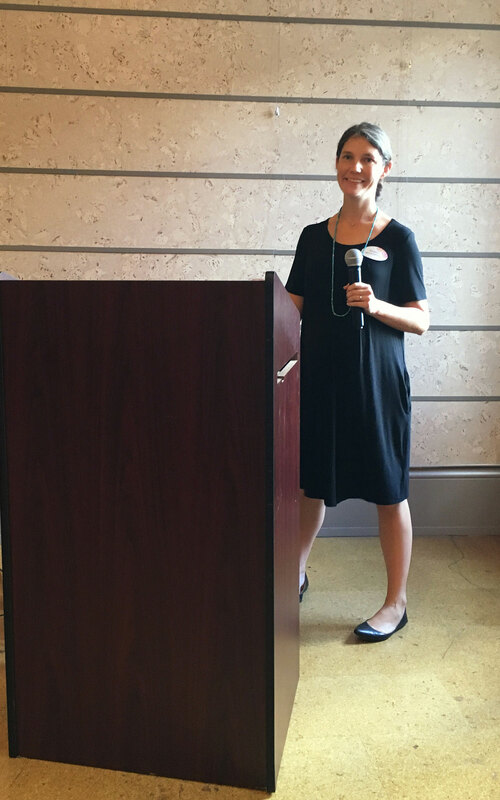 If this is your passion, the two organizations will present a workshop 8:30 a.m. to 1 p.m., Friday at the Coral Gables Museum, 285 Aragon Ave. A working lunch will be provided and the event is free with registration. Robb and Stucky is sponsoring this event. Sessions include: “How To Be Alert for Potentially Endangered Sites” by Megan McLaughlin, and “Designation. What It Means, Who Can Designate Historic Properties and How” by Sara Cody, Vickie Toranzo, and Dona Spain. The lunch session will be “Citizen Surveys and Recording Places of Interest” by Wendy Sczechowicz. Write to macbirch@aol.com to register. Without advanced reservations, there will be a $25 charge.